Are you having problems with your circuit? Are your light switches losing contact and causing that annoying intermittent blinking? It looks like a job for Electrics On-Tap. Every home deserves a fault-free electrical setup. For one, it makes for total convenience whether you are reading with a lightbulb or using an electrical appliance. A highly-functional electrical system also reduces unnecessary load to the power grid and ensures optimal energy consumption. This means you’ll cut down significantly on your annual electricity bills. For this, you need a reliable electrical service. For more than a decade, we have been serving the residents of Brighton & Hove and its environs with quality electrical services. From installations to Portable Appliance Testing (PAT) and maintenance services, we pride ourselves on being a team that delivers anytime, including emergencies. Electrics On-Tap is NICEIC-approved. The National Inspection Council for Electrical Installation and Contracting is one of the UK’s leading regulatory authorities. As a certified company, it means we always adhere to industry best practices and UK’s Regulations for Electrical Building Installation. In addition, we have ECA, NAPIT and JIB qualified electricians at your beck and call. Rest assured, your home will be in professional hands. The core of our service is 100% customer satisfaction. All our staff are trained to ensure quick solutions to any electrical problems our customers face. Do you have any issues? While we provide electrical installation and servicing needs, we understand that some of the major issues people encounter with their set-ups are not easy to diagnose. When you call an Electrics On-Tap electrician, they will first conduct a diagnostic test to identify the problem. With their knowledge and decades-long practical experience, our qualified engineers use a systematic and logical procedure to quickly review the fault, identify the source and proffer solutions. An electrical fault can prevent your home from sustainable operations, whether it is inadequate heating or insufficient lighting to some parts. We understand how frustrating this can be, which is why we always have a standby-team available. Our engineers are competent and use only state-of-the-art equipment to find the problem. We pride ourselves in the quality of our services and the technology we apply. 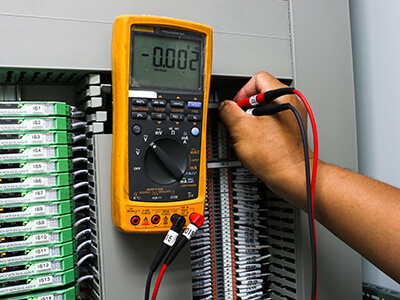 At Electrics On-Tap, we use testing equipment that can detect issues effectively, and our team uses proven techniques to ensure they get it right in one visit. Unlike some services, our processes are borne from years of thorough research and testing; we do not condone or perform guesswork. Trial and error methods have no place in our practice. With Electrics On-Tap, your electrical problems will be a thing of the past. This is a problem of improper power distribution. It means the appliance is drawing heavily from the mains and affecting supply to other outlets, like the lighting. Failure to resolve this immediately could lead to a blackout eventually. Call your local Electrics on-Tap technician immediately. If you move into a new building, and notice outdated looking sockets and switches, chances are the home isn’t so new after all. You could be dealing with old-fashioned wiring. According to the UK’s IET wiring regulations, all homes must be in line with BS 7671. Otherwise, you would be exposing yourself and your household to danger. Let us re-wire it to the latest, accepted standards. This is an indication of insufficient power distribution overloading the appliance. Or, it could be that your appliances are due for an annual PAT testing. If you are a landlord or own a public building, it is important to carry out a portable appliance test at least once every year. This could save you from putting your tenants in danger, or being susceptible to lawsuits. Fuse blowing for no clear reason. Arcing or crackling sound from your switches. Green substance oozing out of your electrical connection. An acrid smell from your switches. Accidents from other maintenance jobs: for instance, leaking plumbing into a wiring network or nailing a wire connection. Electrical faults may be small, but they usually have the potential to escalate into something more serious. This is not only expensive, but life-threatening in some cases. You are better to have this fixed early on. If you live in Sussex, don’t hesitate to contact Electrics On-Tap. 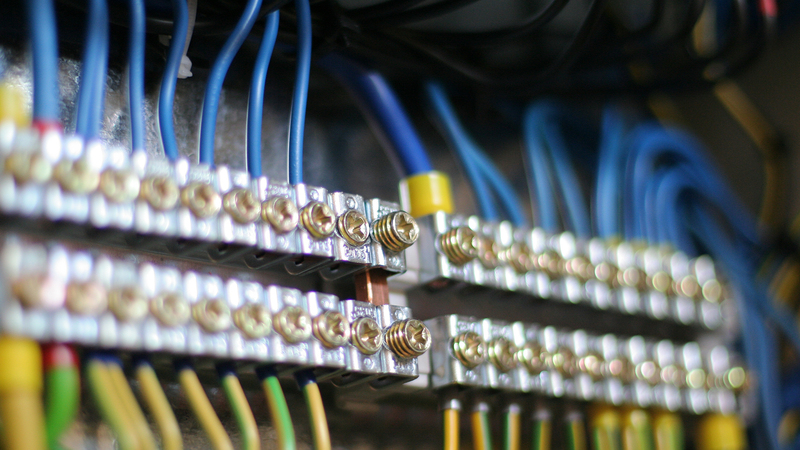 Our electricians will get your house wired. Electrical emergencies are no joke. What may start off as insignificant smoke, can develop into a full-blown fire. Which is why we have a standby team in place for calls within Brighton & Hove and its environs. When you call Electrics On-Tap, a team of NICEIC-approved engineers will respond within minutes. Think of us as your friendly neighbourhood electricians. We will stave off the danger in no time. What’s more, our emergency response service is at no extra cost to you. We have been serving the Sussex area for over 10 years. During that time, we have built a reputation for sterling service and fair business conduct. Our customers rely on us to take away their problems. Electric on-Tap is NICEIC-approved; we are also accredited by other leading electrical authorities in the UK. 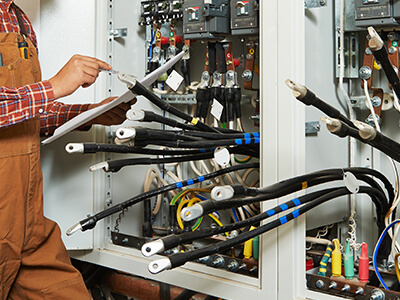 Our electricians are qualified and trained in the art of customer service. Our pricing is affordable and guarantees immediate results. You get free rapid response service in Brighton & Hove. Our fault-finding techniques stem from quality testing procedures. Do you live in Brighton and Hove? Contact us for your electrical emergencies. Electrics On Tap is proud to offer All Fault Finding and Maintenance services in Brighton, a large town located in East Sussex in South East England. Electrics On Tap’s All Fault Finding and Maintenance service area like-wise encompasses Moulsecoomb, Hollingbury, Hollingdean, Hove and Mile Oak in the City of Brighton and Hove. Last in order but nevertheless important, Electrics On Tap’s All Fault Finding and Maintenance services cover the Brighton Municipality including Brighton Marina, Stanmer and Bear Road area.